At VF, integrity never goes out of fashion. To us, values such as honesty and respect are more than just words – they’re embedded in everything we do. Our Ethics and Compliance Program helps ensure our associates have the guidance and resources needed to operate with the highest standards of corporate conduct in all of our business dealings globally. The Program is led by our Vice President, General Counsel and Corporate Secretary, who also serves as our Chief Ethics and Compliance Officer. Senior executives form our Ethics and Compliance Leadership Council, which focuses on monitoring the effectiveness of our program and providing guidance and input into Program-related initiatives. VF’s Vice President of Ethics and Compliance, manages the Program’s day-to-day operations. Through collaboration with Ethics and Compliance liaisons worldwide – associates who support our program in addition to their primary responsibilities – we strive to ensure a collaborative and inclusive perspective in the way we manage our Program across the globe. In 2017, our Board of Directors adopted an updated Code of Business Conduct, which applies to all VF directors, officers and associates. Our Code outlines the principles that have guided our company throughout the years, and that continue to guide us today. The Code provides direction on acting in accordance with laws, other legal requirements and company policies. VF also provides more detailed policies and procedures for demonstrating ethical behavior, many of which are referenced in the Code. Our Code contains Q&A scenarios to demonstrate ways in which our core values can come to life in our day-to-day interactions with others. By setting forth the high standards that VF expects, our Code of Conduct serves as a pledge we make to our shareholders, our customers and each other. All VF associates worldwide are expected to read and acknowledge our Code and to become familiar with its contents. Reflecting VF's global reach and the diversity of our associates, our Code is available in 24 languages. At VF, everyone is expected to demonstrate the characteristics of a leader. We are each responsible for ensuring that our colleagues and business partners feel comfortable asking questions and raising concerns. Our people are our greatest asset and we know that what makes VF great is our nearly 70,000 associates and our many partners worldwide. Winning in the right way is essential to our success and our Code of Conduct contains important information about avoiding conflicts of interest and ensuring that we keep accurate accounting and financial records. As a global business, we commit to following the law and ensuring compliance in our daily operations worldwide. As one of the largest apparel and footwear companies in the world, we have a responsibility and an opportunity to lead our industry toward a better future. Our efforts related to sustainability and responsibility, community engagement and adherence to our Global Compliance Principles help us keep our commitment to making our communities better. VF is committed to fostering dialogue and communication through multiple channels, including our Open Door Policy and our Ethics Helpline. The Helpline is a free, confidential way for anyone to seek guidance, ask a question or raise a concern. It is available 24 hours a day/seven days a week in every country where VF has employees. Reporters can contact the Helpline in over 100 languages, and anonymous reporting is available where allowed by law. Each report is reviewed by a member of our Ethics and Compliance team and assigned to an appropriate investigator. 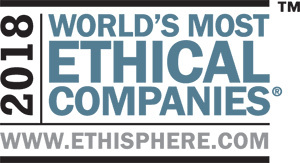 Our Ethics Helpline is not only available to VF associates. Anyone who wishes to raise a concern about a potential violation of our Code of Business Conduct or the law can contact the Helpline 24 hours a day/seven days a week. VF does not tolerate retaliation against an associate for making a good faith report of a potential violation of our Code of Conduct, a company policy or the law or for participating in an investigation. We make every effort to investigate reported concerns appropriately, consistently, and in a timely manner. VF investigated a total of 694 reports globally in 2017, received through the Ethics Helpline and direct reporting to the Company via our Open Door Policy. Fifty two percent of the reports received were made anonymously. Out of the 694 total reports, 67 were requests for guidance. Approximately 44% of the reports containing allegations were found to be substantiated. All substantiated reports resulted in either training, coaching, policy review or disciplinary action. We use this data, both qualitative and quantitative, to help guide our actions and ensure they are aligned with our vision and values. 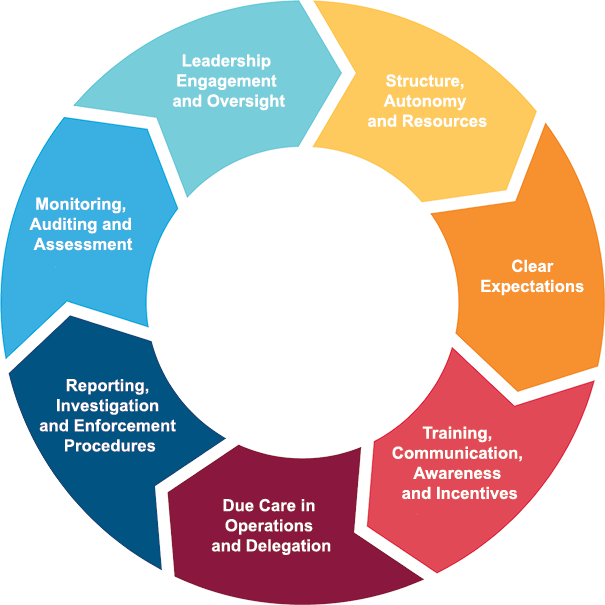 This includes working to identify areas of opportunity, improving upon our policies, processes, and best practices and creating occasions to provide additional training and resources within our organization. With these actions, we commit to furthering our Open Door culture and ensuring we act with integrity for our shareholders, our customers and our associates. To ensure ongoing commitment to and understanding of our values-based principles, the Ethics and Compliance Program provides online and facilitator-led training on our Code of Business Conduct and other important topics such as anti-corruption, conflicts of interest, fair competition and intellectual property. Our Code of Conduct training also offers associates the opportunity to raise a concern about a potential violation of our Code while completing the training online. Introduces the direct liability for companies when unlawful conduct has been carried out by its directors and employees in order to the benefit of the company. Our company seeks to ensure our values drive our tax strategy and that it remains aligned with our business and commercial goals. To do so, VF follows the below principles regarding UK taxation. VF operates two distinct legal entities in the United Kingdom, each with over 250 employees. The detail in this report covers the gender pay data for both entities; VF Northern Europe Ltd. which is responsible for our UK Wholesale Business, as well as for providing centralized services to the Europe, Middle East & Africa (EMEA) region, and VF Northern Europe Services Ltd. which is responsible for our UK Retail Stores operation.